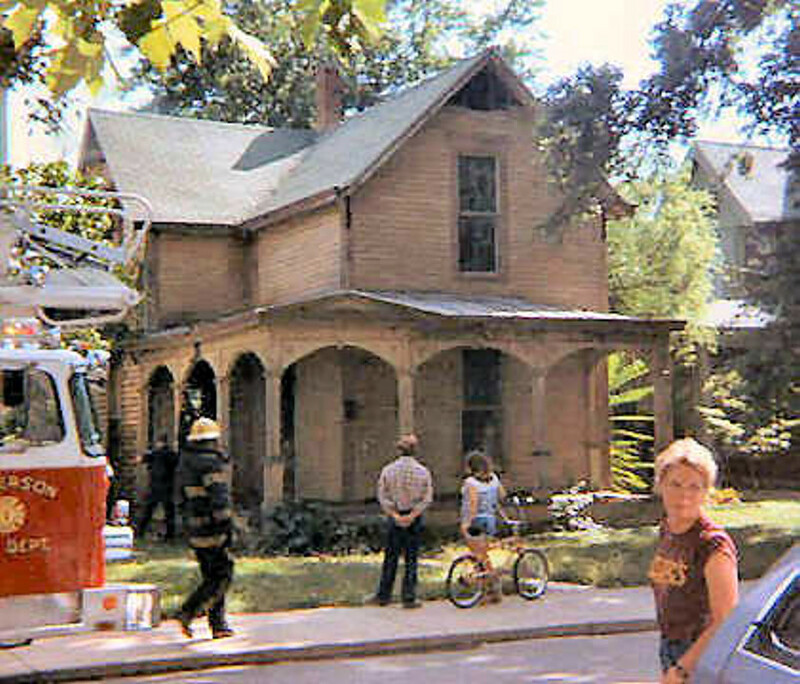 Historic pictures from West 9th Street. 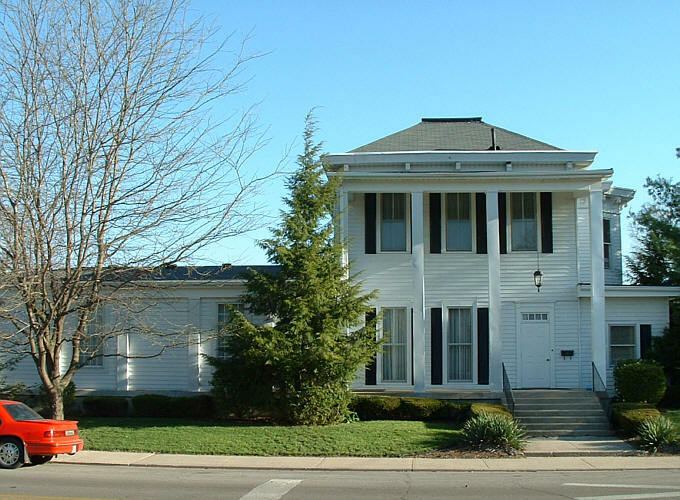 The properties in this area are located in the Historic West Eighth Street Historic District. 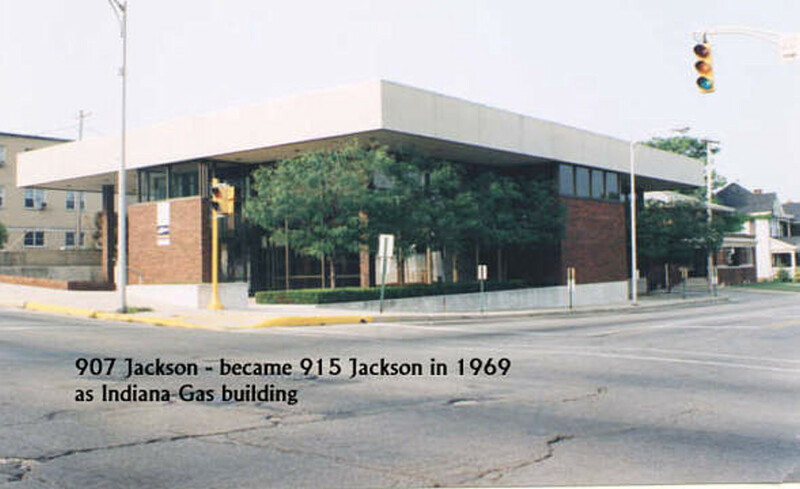 The house at left was demolished in the late 1960s for construction of the Indiana Gas main office in 1969. 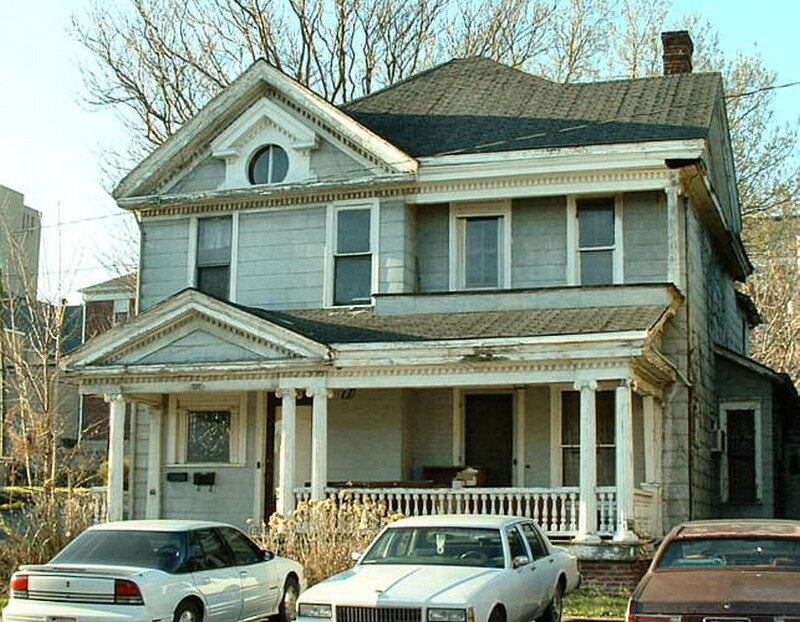 121 West 9th in 2003. 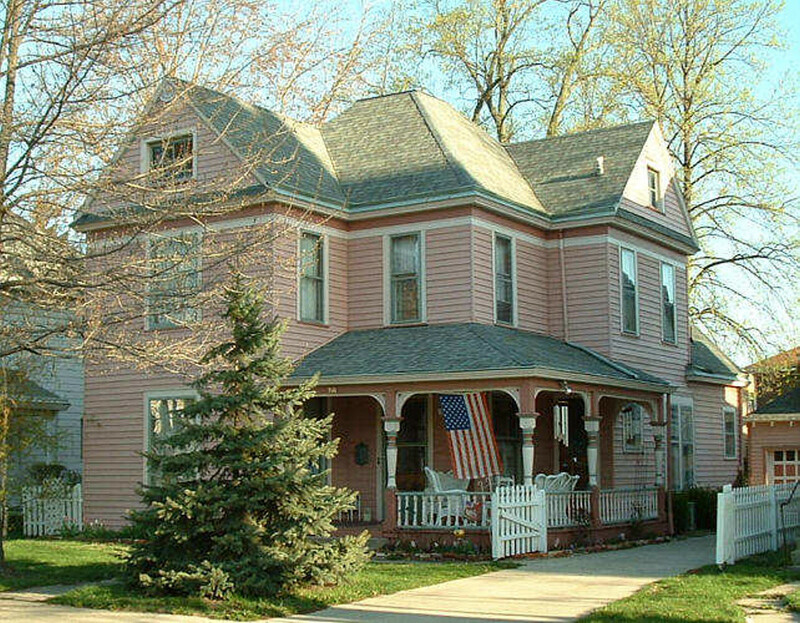 A wonderful Prairie Style Home. Operated by the Madison County Dramatic Players. A new season of theatre is presented here every year. 131 West 9th in 2003. 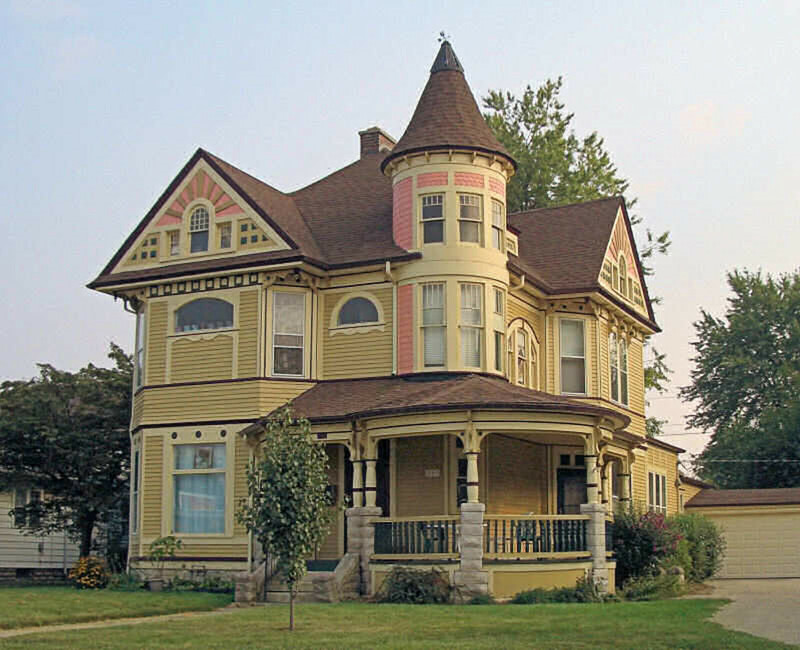 This great home has been a considerable worry as it seem to cycle between save and loss on a continual basis. 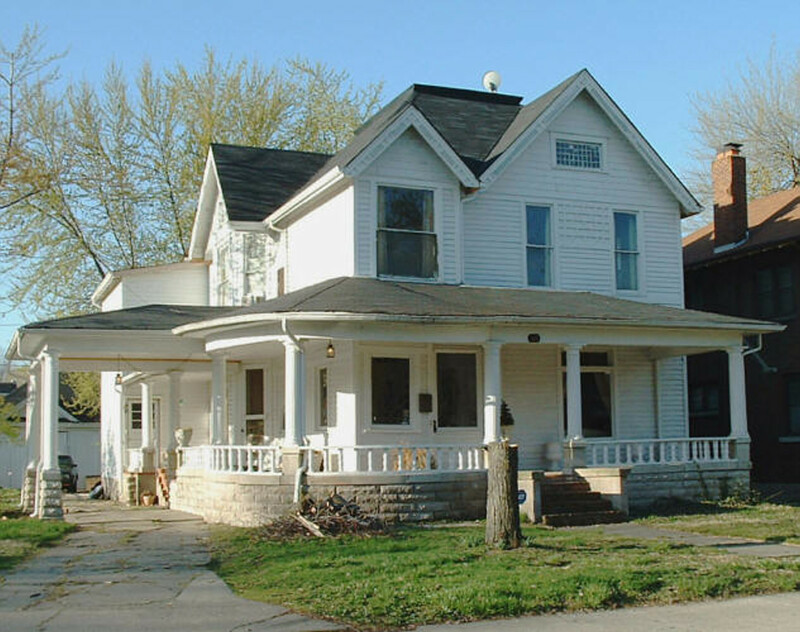 Another "save" - the current owners have undertaken a complete exterior renovation of this property. 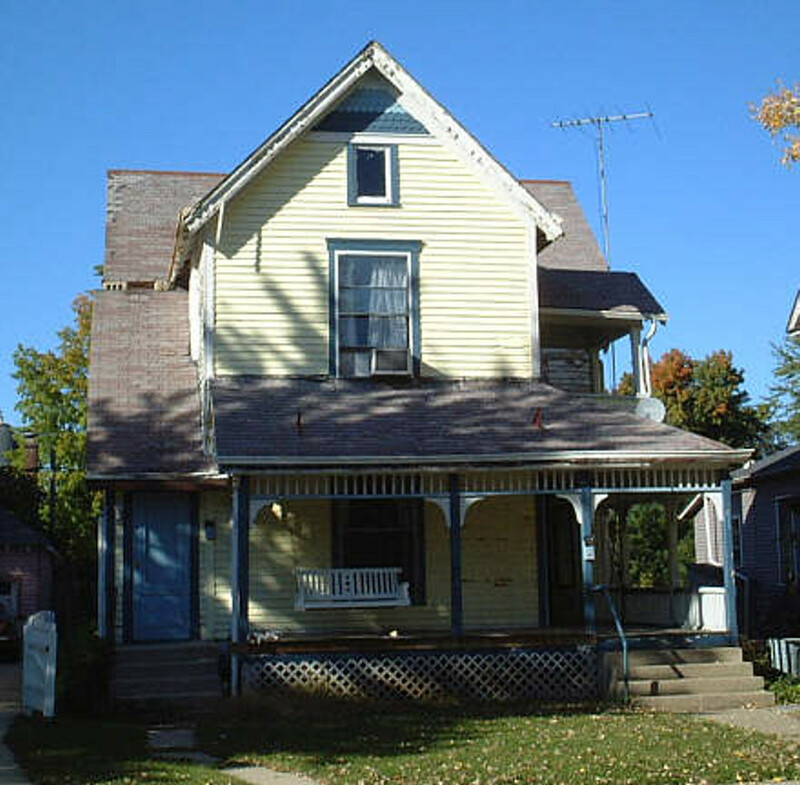 Artificial siding was removed and the wood clapboards were restored. 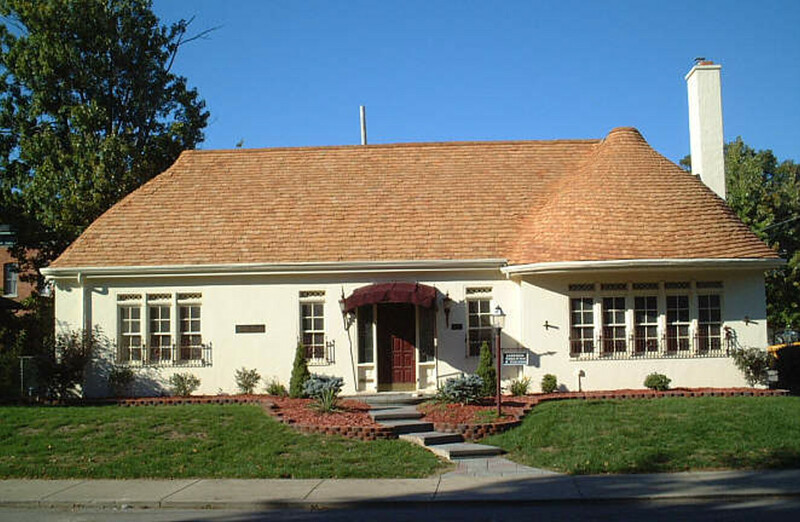 This property had a fire many years ago which destroyed the original roof line. 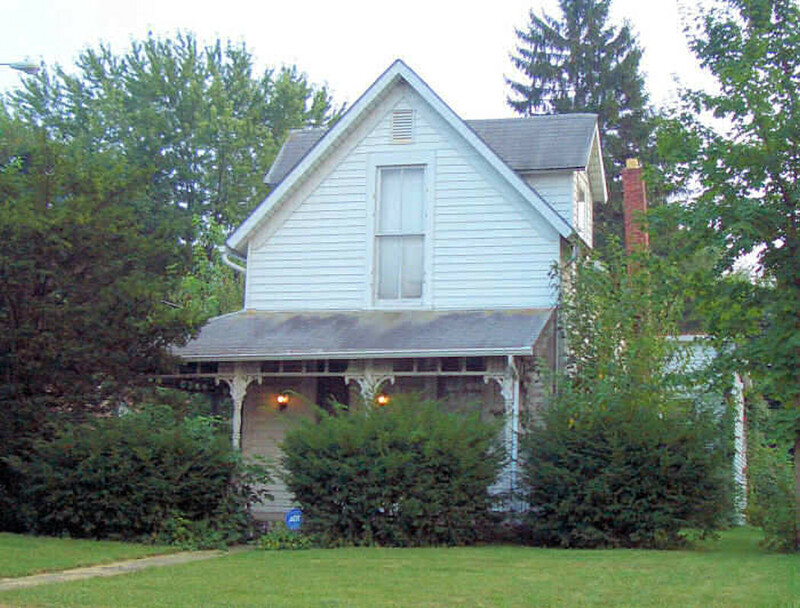 The gable on the left side shows a portion of the original lines. 205 West 9th in an undated picture. Demolished around 1975 to make way for the Brown-Delaware Expressway. The Durbin Flats are a remarkable transformation. 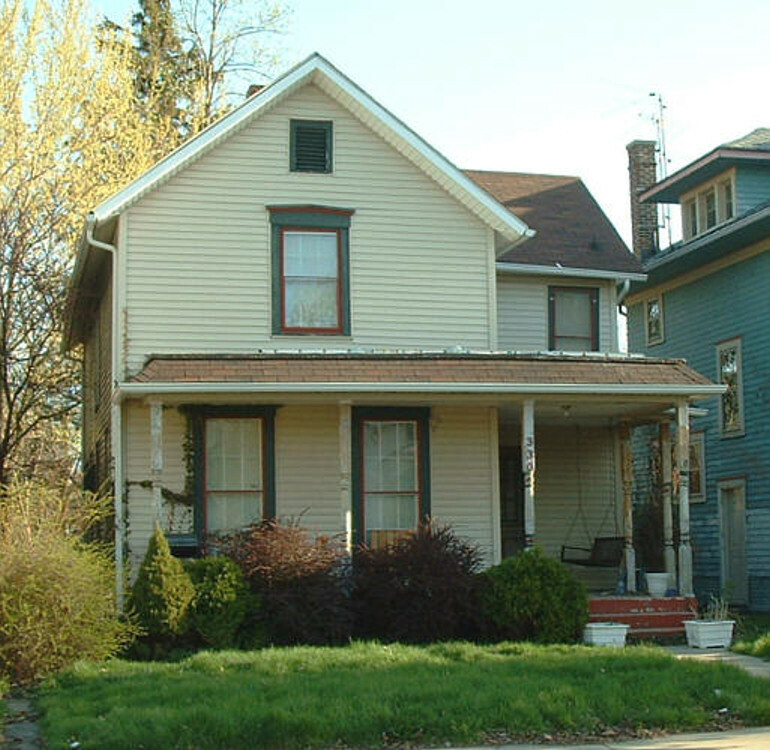 Considered unsaveable by many, the property today is a highly desired rental property. 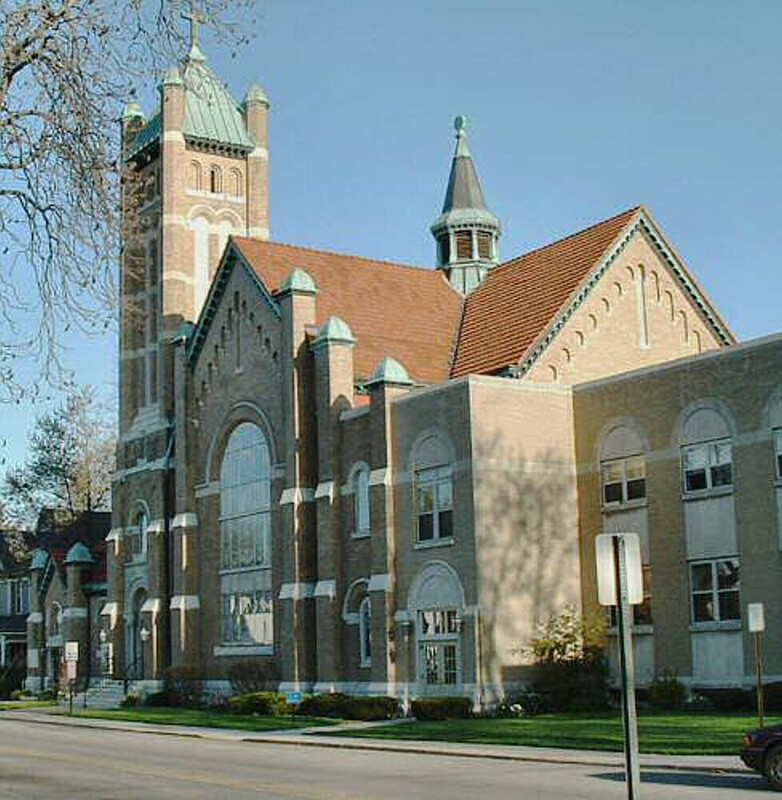 Our historic districts boast several beautiful churchs. This is First Presbyterian. 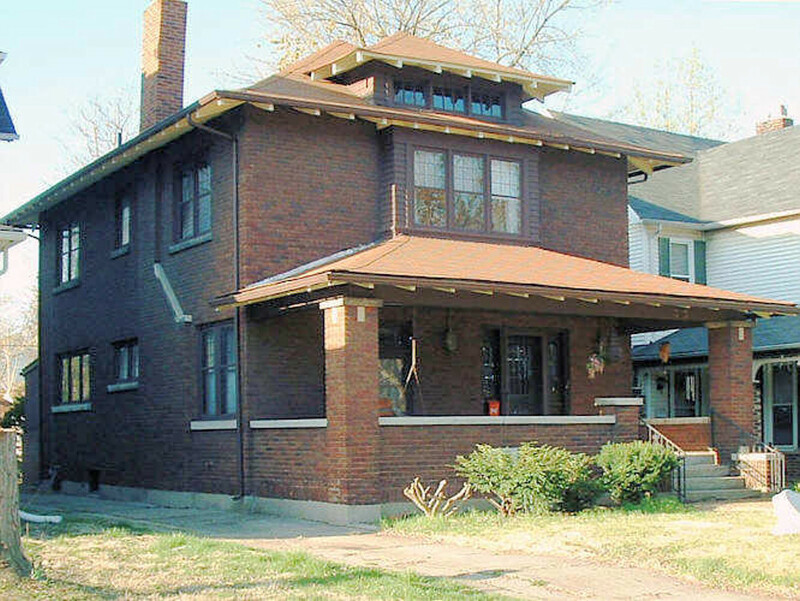 Formerly 304-308 West 9th, this home was returned to single family in 2004. Great save. 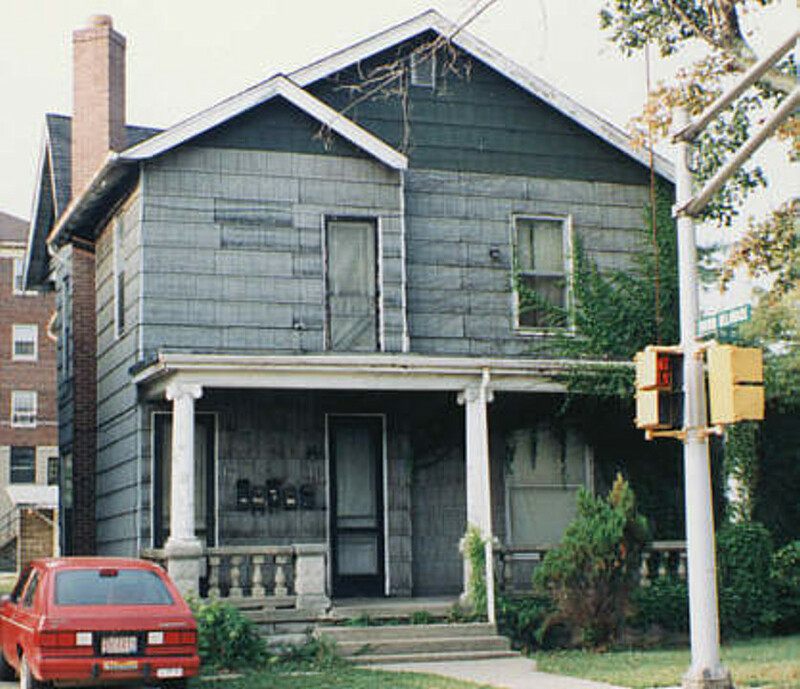 307 West 9th in 1985 and 2001. This property was used for a fire training excercise and demolished. 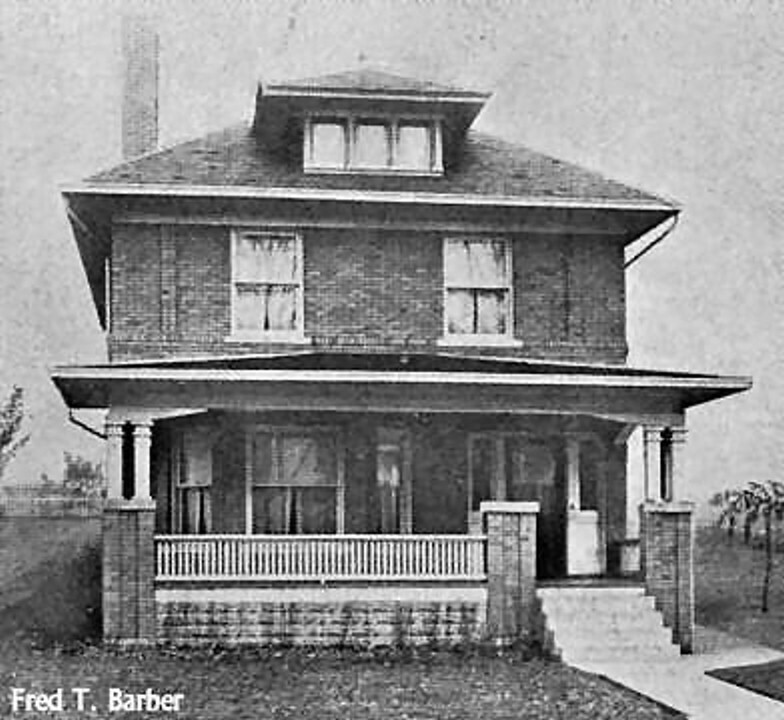 The home was a part of the West Eigth Street Historic District at the time. 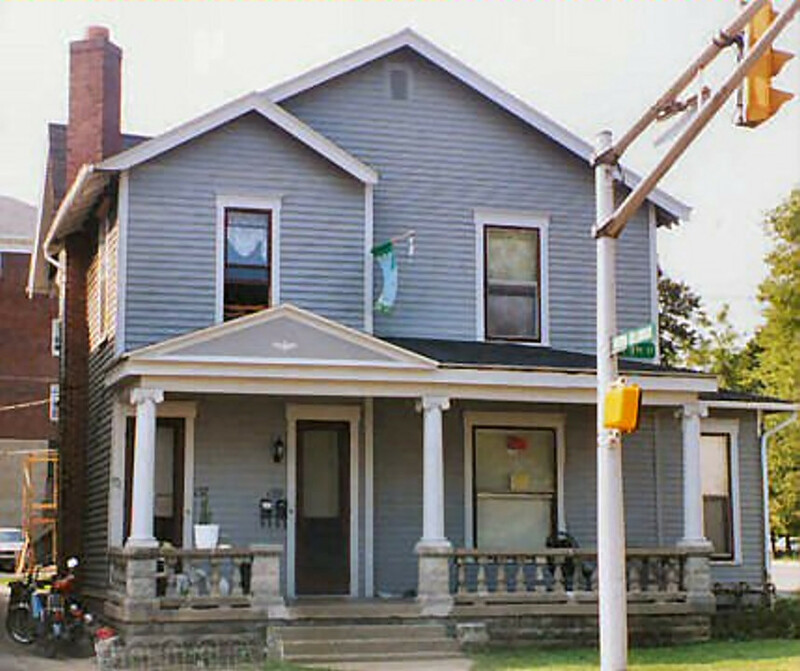 309 West 9th in 1985 and 2001. 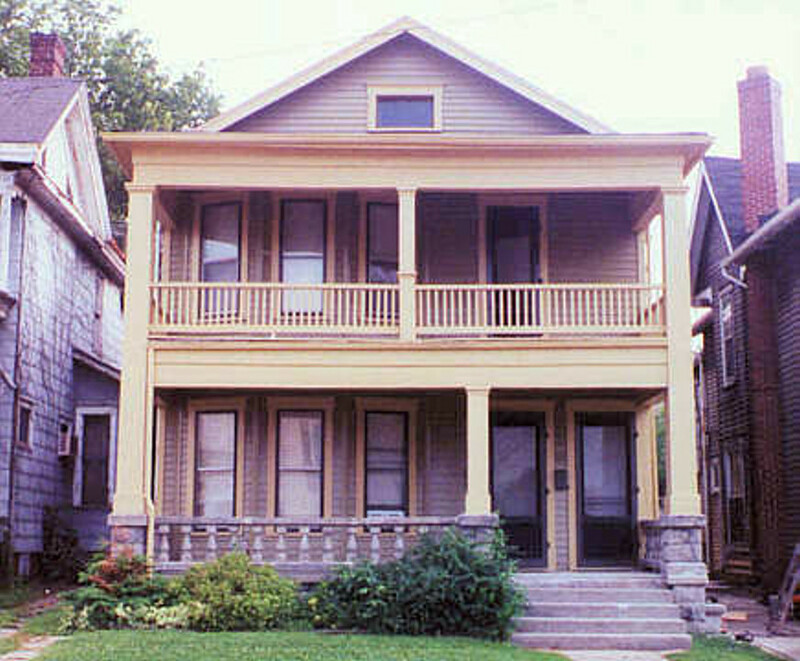 This property was demolished at the same time as the house above and was also a part of the West Eigth Street Historic District. Yet another save. 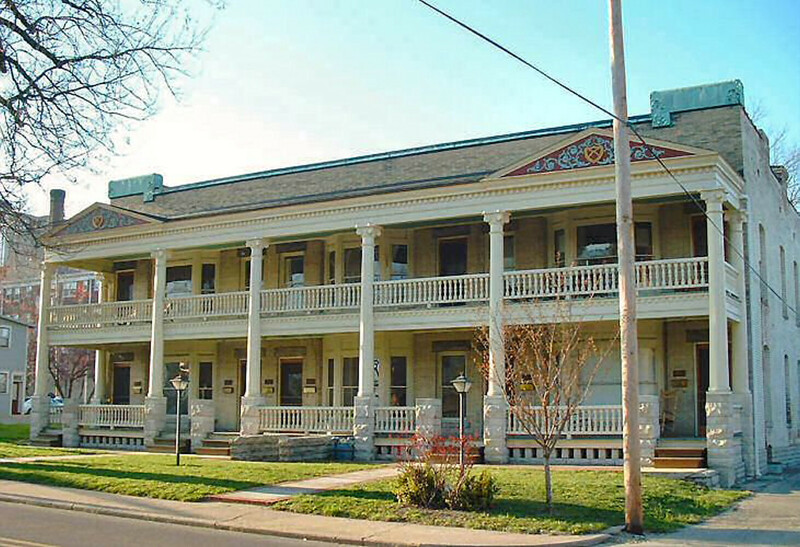 Formerly chopped into apartments, this home is now back to single family. 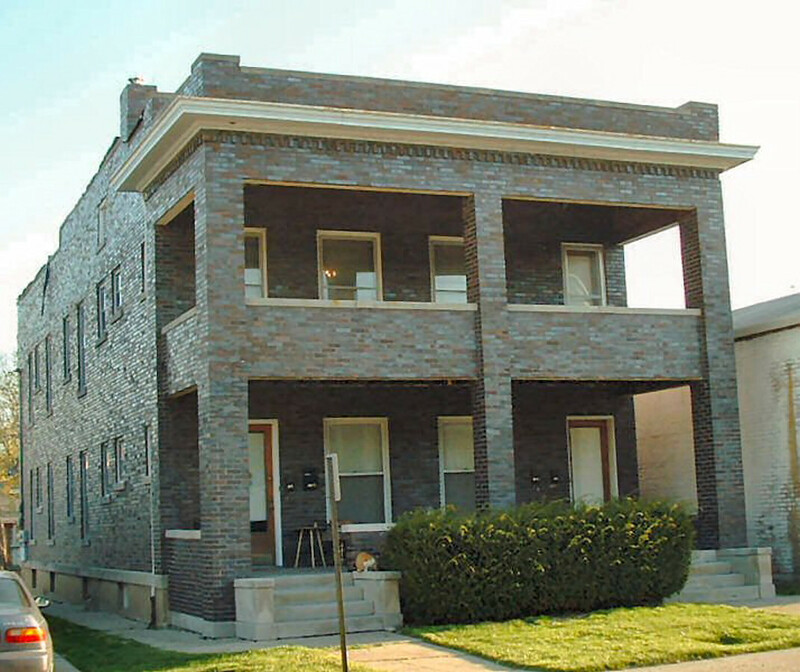 312 West 9th - This former 3-unit apartment building has recently been converted back to single family use. 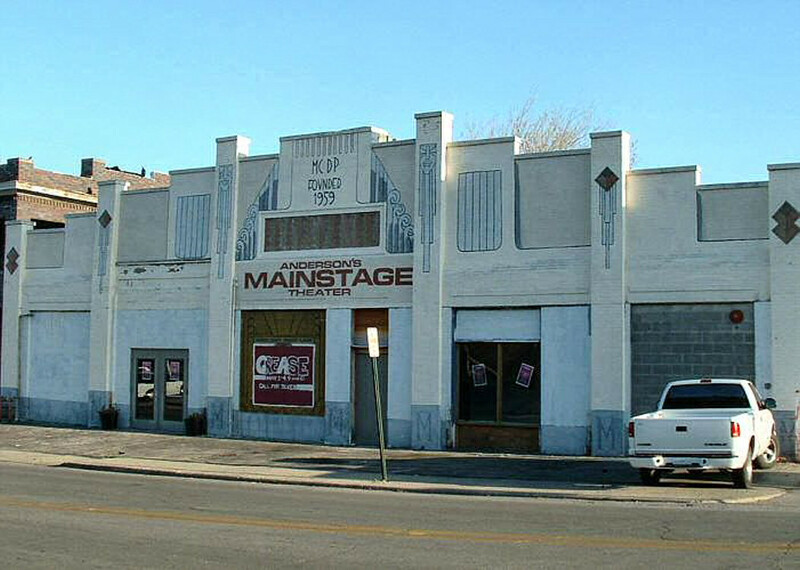 The owners hope to begin exterior restoration in 2003. Another Save! A great four-square with many prairie influences. A truly transitional home. 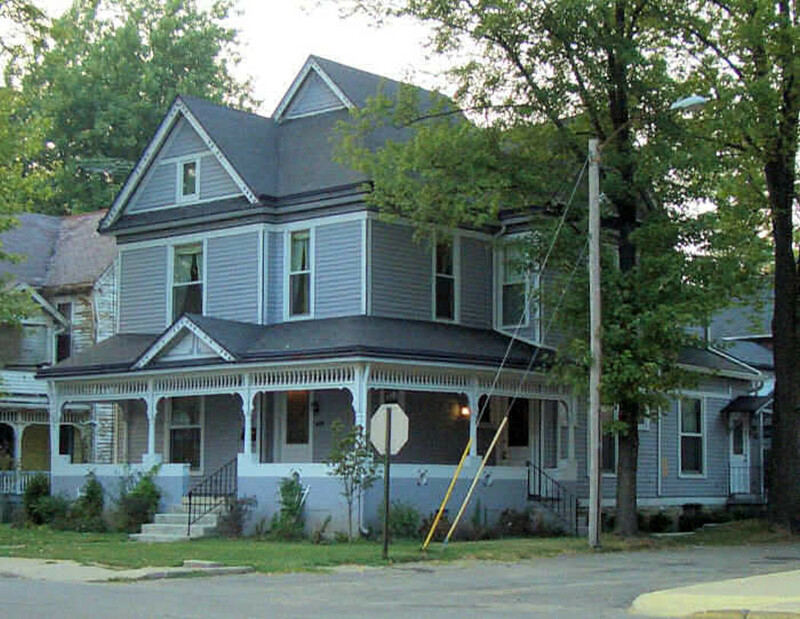 Another previous apartment conversion - now back to single family. 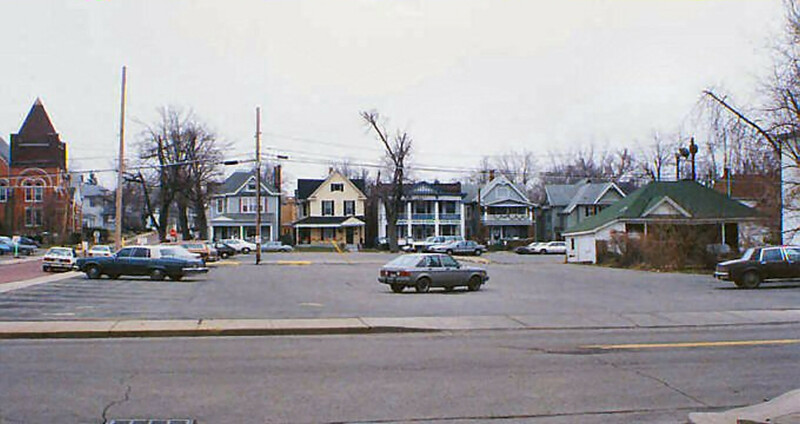 A well maintained and original four-square. Another save. 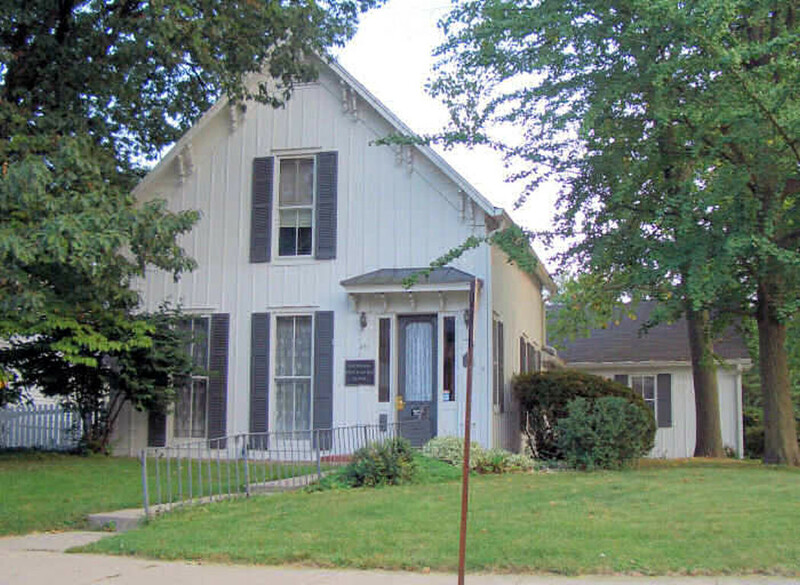 This early home is most likely 30-40 years older than it's neighbor at 326 West 9th. Just another great aspect of our districts - variety. 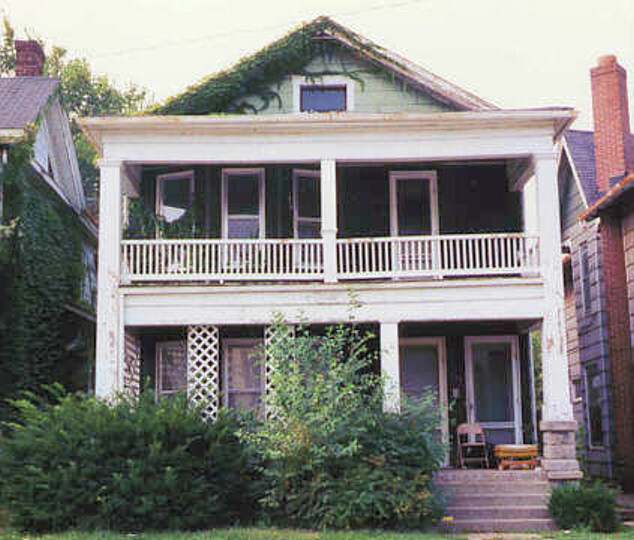 422 West 9th in 2001. 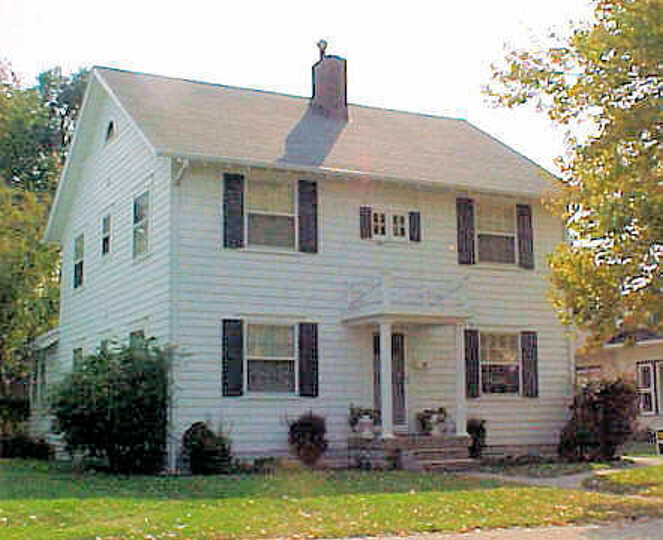 This property is used by the Anderson Teacher's Union. 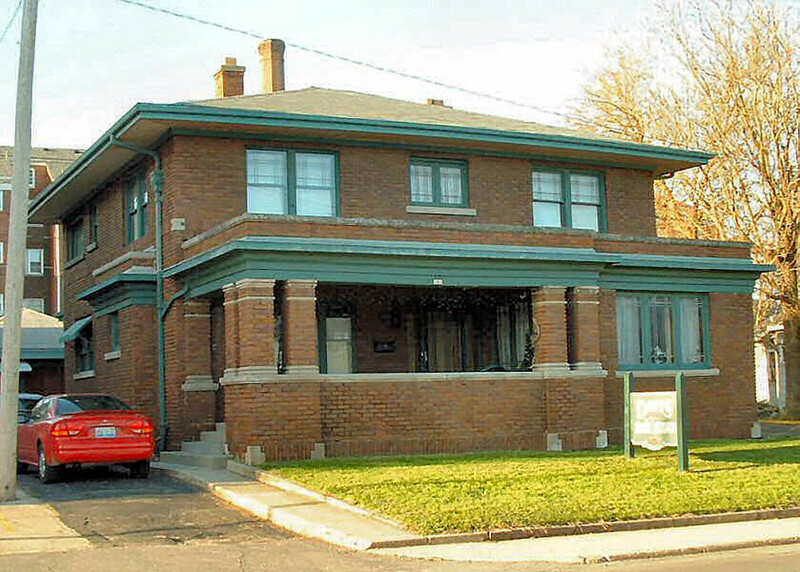 504 West 9th in the 1930s when used as the Sells & Rowe Funeral Home. 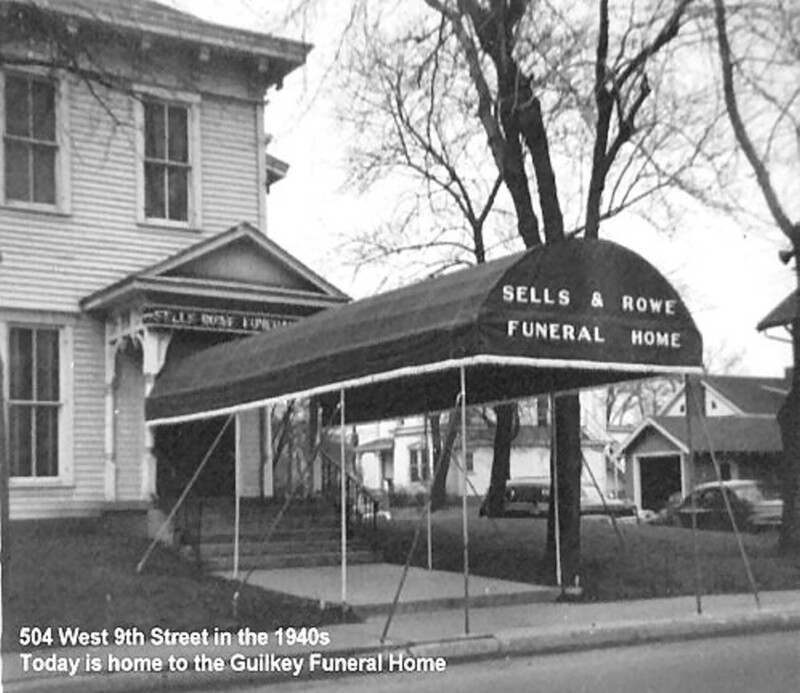 Today this home is the Guilkey Funeral Home as shown in 2003. 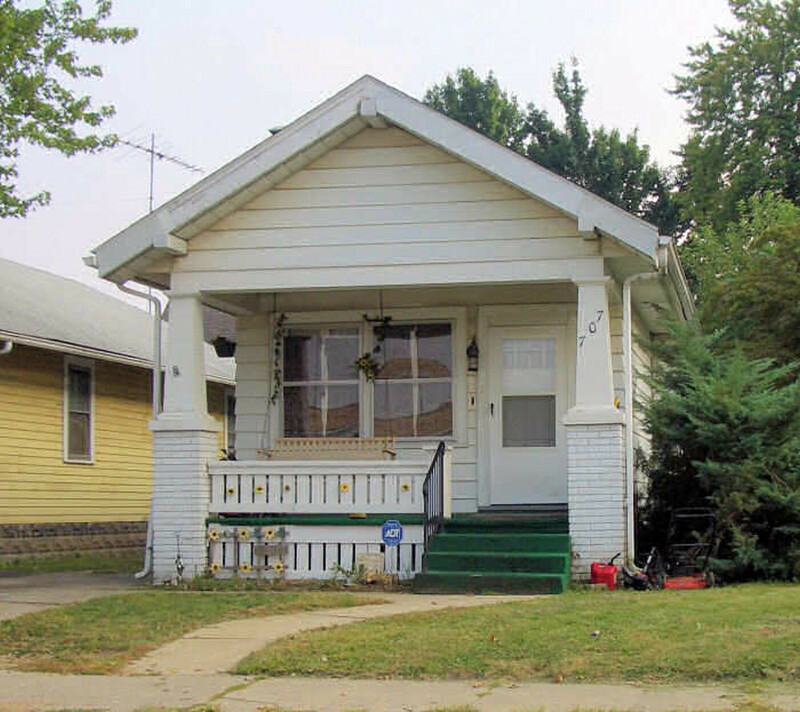 One of the oddest houses in the districts is this small bungalow which is barely 15 feet wide but quite deep. 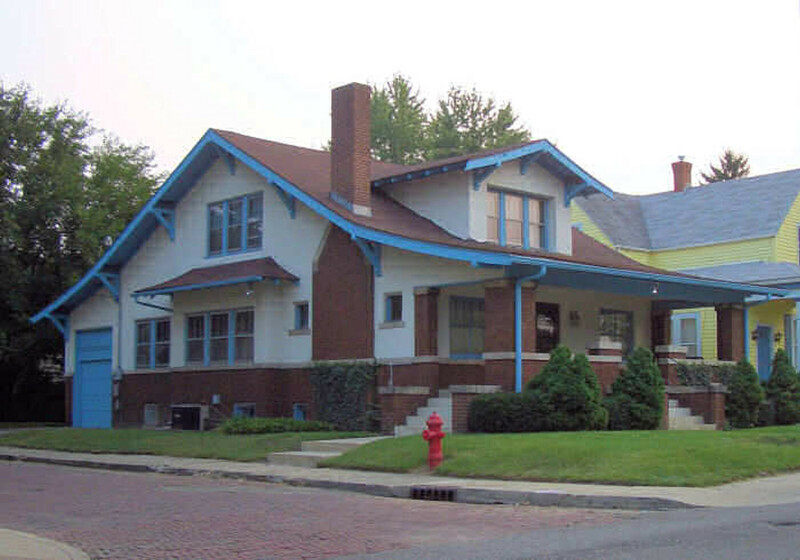 711 West 9th in 2005. 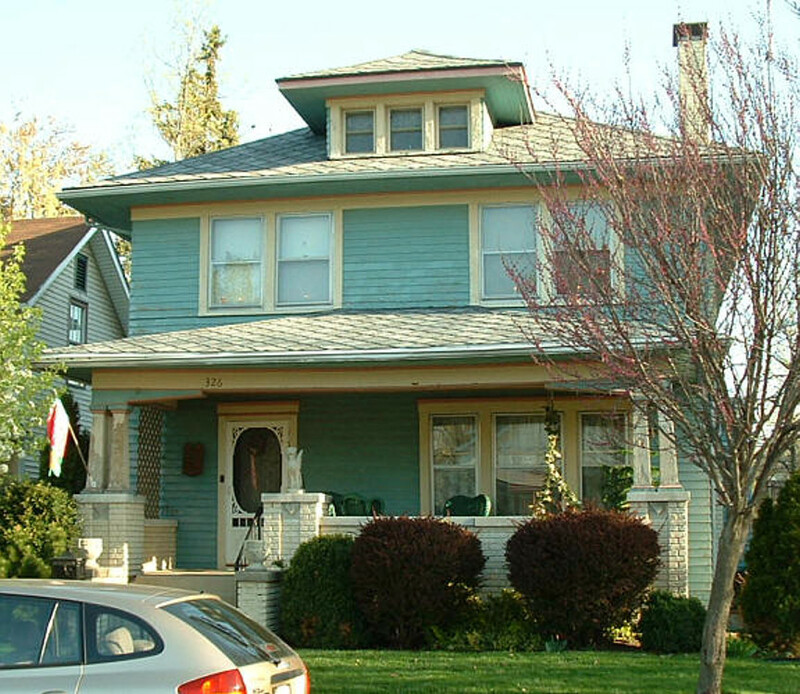 One of the few true Queen Anne style homes left in the districts.